I repainted the interior of my house by myself. I have issues with numbness in my arms so wanted to paint with one coat to save myself discomfort. One wall was red-orange and I painted it a light green..in ONE coat! I was sold on the paint and that is what I used in all my other rooms. I also painted new sheet rock with just one coat...supposedly a no-no, but it worked fine! This paint has the house smelling, been for about 3 months now. Been dealing with their customer service and it still has not been resolved. I would never recommend this junk paint to anyone. It shouldn't take 3 months for them to go good on a product that they warranty and guarantee the paint. The entire house is done in Behr paint and now it all needs to be redone by priming it and then painting again. That is how they want to fix it, so if that don't work then what, take all the drywall out, that'll be a mess. Not impressed with the product or customer support. 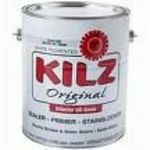 I had to paint every room in the house and started using a less expensive brand. It took multiple (4) coats to cover off-white with white in one bedroom. It took me two days to paint a 10x12 room waiting for each coat to dry. When it came time to paint my bedroom, I used Behr Premium Plus in a lovely shade of light grey. From the moment I poured the paint in the tray, I realized the paint was different from the other brand. It coated the roller easily and went on the wall evenly and smoothly. It covered the old, stained, off-white in a single coat. Some stains required a second coat so I did go over the entire room a second time (the room had not been painted in almost 30 years). By the time I had finished the first coat, the paint was dry enough to start the second coat. What took two days with cheap paint took a few hours with Behr. I am absolutely thrilled with Behr. The color is gorgeous, the coverage even, and it was easy to coat the roller and apply to the wall. Behr certainly helped make the chore of painting almost a pleasure! I won't paint with anything but Behr products in the future. power washed exterior, sprayed my eves and trim. Overspray on siding could be pealed away??? Behr Ultra with primer should stick like glue. My house is ten years old. I've owned home last two years. It appears the siding was painted with a "satin" finish paint. I used a satin paint for my trim and was going to use a satin for the siding. Trim is rough wood finish, so adhesion is not an issue. 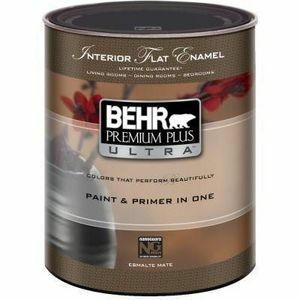 I've contacted Behr and waiting for their response to my adhesion issue. Is it possible that the previous paint on my siding was an "OIL BASE" and using a water base is the reason for poor adhesion. However, Ultra contains a "PRIMER" I lucky that I was able to see the problem before I painted the entire house. We just bought our first house and the first thing we wanted to do was paint. The house is from the 1970s and the walls were a horrible yellow inside. We decided to get behr because we know a lot of people that recommended it and we wanted a decent pint that would last. We're also not a very patient couple and wanted to avoid having to do multiple coats, SO, we went for the Ultra. It is paint and primer in one so we were able to skip the extra primer layer before doing the normal paint. We were hoping to get our bedrooms done in just 1 coat since the yellow we were going over was pretty light and it wasn't marked up much, and we were painting over it with a light very neutral creamish color. And luckily, it worked great! 1 coat and it looked flawless. Some people mistake the "paint and primer in one" and a one coat paint, which in general, it is NOT. It just means you don't have to prime first. If you were doing a light color over dark you would probably need at least a couple coats. But for us, 1 was all we needed. The color came out pretty much how I expected it to and it really brightened up the rooms. It went on easy and wasn't super messy at all either. 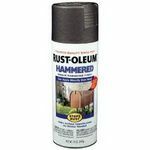 If you want to do it in just one coat over a dark color or want it to be sure to last longer, I recommend the behr marquee though. We bought that for our living area which has vaulted ceilings ad goes on forever! We did NOT want to have to do 2 coats or have to repaint that for a LONG time. The marquee is paint and primer in one PLUS it is specialized so you should only need 1 coat, no matter what color you're painting over. This paint goes on smooth and covers well. I bought this paint in a sky blue color to cover up some neon green paint left behind from the previous owners of a mobile home I purchased. I was nervous that the coverage wasn't going to be enough but it worked out nicely. I can say that I did have to do a second coat, even with the built in primer. It was hard to go from a darker, loud color to a softer and lighter one. I could have made due with one coat but there were a few places that just didn't quite cover as much as needed. 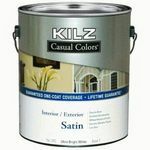 Overall, if you're covering neutral, soft, and medium tones then this is a good paint to go for. One coat can get the job done. The odor wasn't too bad either. Quality This worked exceptionally well. I was pleased. I did have to do a second coat of paint but that may have just been because of the quality of the roller I was using. I got great coverage for the most part but I had to do some touch ups. Durability It's held up well. I have scrubbed the walls and wiped them down without any issues. I did have to use a magic eraser on some scuffs and it seemed as if a little color was on the eraser but nothing major. Coverage The coverage is great with this paint. It primes and paints all in one very well. Ease of Appliation This paint is very easy to apply. 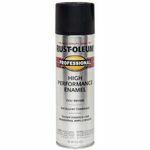 It has a primer built in which makes the application even more smooth. We wanted to repaint our entire house and decided to go with the Behr interior paint to do so. We cleaned and prepped our walls and painted every room. About 2 months later, I noticed places on the walls where the paint was coming off. I blamed it on my kids and figured that they had rubbed up against the wall with something. But then I began to see where the paint had flaked off on areas off the wall that were too high to have been rubbed up against. We do not live in an old home, we were painting over existing paint, and we made sure that our walls were both clean and dry before painting them. For the life of me, I can not figure out why paint would just flake off like that. I have had to keep a small container of paint for each of the rooms on hand so that I can do touch ups whenever I see a new spot. It's frustrating. The only thing I can think of is that it is the quality of the paint because our painters used a very high quality paint on the walls when we first moved in and we never had any issues. Quality The paint looked great at first, but then it began to flake. If it weren't for that, the walls would be beautiful. Durability Obviously it isn't very durable if we are thinking about repainting and it has only been a year since the last paint job. Coverage The paint is easy to use and covers nicely. 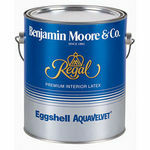 I purchased a couple different brands and styles of paints lately to complete a number of different projects. I purchased the Behr premium plus variety in a cream color to paint our nursery. We are expecting in November, later this year and I wanted to get a head start on the empty room. I did all the walls with just one can. The room is small with the door on one wall and another wall being all wood so in reality I painted about two and half walls which is why I did not need a ton of paint. I was very pleased with how easy it went on without running, the paint was not too thick or thin. It was a good consistency. I also only applied one coat to each wall. It dried completely in a couple hours meaning I was able to move the little bit of furniture I have back into the room by the end of the night. The smell was not very strong at all, I did keep the window open all the way and the door for adequate ventilation. I bought this enamel a few months back to repaint my kitchen cabinets which have gone bad due to repetitive use. I cleaned the surface and did two coats of Behr Premium Plus Interior Semi-Gloss Enamel and they looked like new. No drips, no mess. The color did not fade, the cabinets just went dirty again which I repainted. Happy me!